I Like to Make Money Trading. Where Do I Start? What I recommend is that you start from studying the Trading Success Blueprint (TSB). Learning to make money from trading is not the same as learning a simple task like changing a lightbulb and definitely not the same as learning to drive a car. Without a framework on how to tackle the problem, you will not only waste your time but you will also diminish your chance to make it in trading as you pick up bad habits along your way. Trading Success Blueprint tells you exactly what you have to do in the sequence that is mostly likely to produce consistent results in a reasonable time. The trading philosophy behind Trading Success Blueprint is the accumulated wisdom of my 30+ years of trading in varies capacities (floor trader, managing other people’s money, advisor to family offices and managing my own funds). 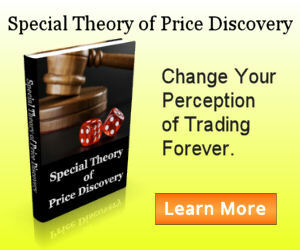 It is not what you find out there that emphasize on so-called high-probability setups and super trading secrets. My way is the sustainable way to trading that promotes low stress and consistency in long term performance. But you cannot trade like me. No one trades exactly the same way. Your path to trading success depends heavily on your circumstances. Are you interested in building a successful full time trading career? If your answer is yes, you have to know that you have a lot to learn before you can accomplish what you want. You will find many resources available on this site that can assist you to achieve trading success. Read the Full Time Trading Guideline for more information on what to do. Are you interested in building a secondary income through trading? If your answer is yes to this question, your objective is easier to accomplish than trying to become a full time trader. This means you can focus on fewer things to reach your objective. Read the Secondary Income Trading Guideline on what you need to do. Are you interested in using trading to complement your current investment portfolio? If you answer yes to this question, it is likely you are an accomplished professional that has a busy schedule with your work. Yet, you know it is important to take care of your investment portfolio but you do not know where to start. Read the Trading as Part of Investment Portfolio Guideline to learn about what you can do to improve the return on your portfolio. Are you a long term investor finding that your long term investment portfolio doing nothing while paying a hefty fee annually? For an average investor, depending on the financial industry to manage your retirement savings has been the norm. Yet, ever since the financial crisis in year 2008, many have discovered that the financial professionals are not really doing their jobs. If you care about your retirement, read the Alternative Long Term Investment Guideline to see what we can do for you. 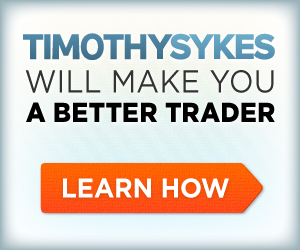 Are you a professional trader looking for tools to improve your performance? As a professional trader, I assume you are currently making good money from trading. Yet, you are looking at this site so you must be interested in ways to take your game a notch higher. Read the Professional Trading Guideline on ways this site can help you improve your performance.